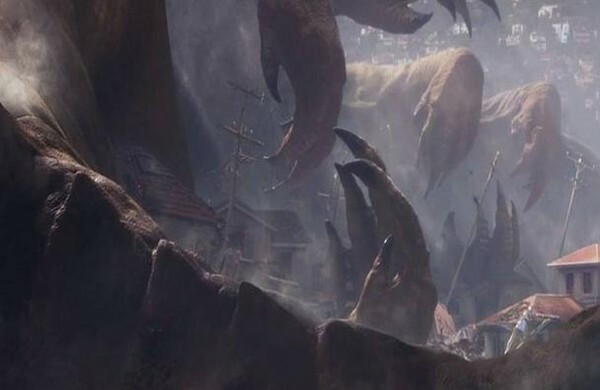 Whether you love the new movie or hate it, there is no denying that the creature on the screen is the King of the Monsters. 1998, you are forgotten. This new movie is not the Jurassic Park-wannabe disaster that Roland Emmerich created. That said: do not set expectations fifty stories high. While Director Gareth Edwards has succeeded in creating a new narrative that tells a unique story in the Godzilla universe, this is not the definitive film that some of the early trailers led audiences to believe. For that honor: 1954 still reigns as king. The plot and focus of the movie draw attention to one of my larger criticisms: I do not feel that this film should have simply been called Godzilla. My review title is in reference to Godzilla Raids Again, the second film of the Showa Series that was released in 1955. This is the Godzilla film that Gareth Edwards’ vision most closely resembles. The good news is that this iteration is much better than what was released nearly sixty years ago. The film opens with the discovery of MUTO. Two eggs are discovered in the Philippines, one of which has just recently hatched. The newly hatched monster heads straight for the first nuclear energy source, which as it turns out is a nuclear plant in Japan under the supervision of Joe Brody (Bryan Cranston). Muto arrives and wreaks havoc, resulting in a family tragedy. Fast forward fifteen years and Brody’s son (played by Aaron Taylor-Johnson) is grown and with a family of his own. He is a military man returned from service who is trying to connect with his family. The problem: Joe Brody has become something of a conspiracy nut in the past fifteen years. He keeps insisting their was something more to the nuclear disaster, something that the military is hiding. Meet Muto, Godzilla’s newest bug bad guy. Of course, the audience can guess where it goes from here. 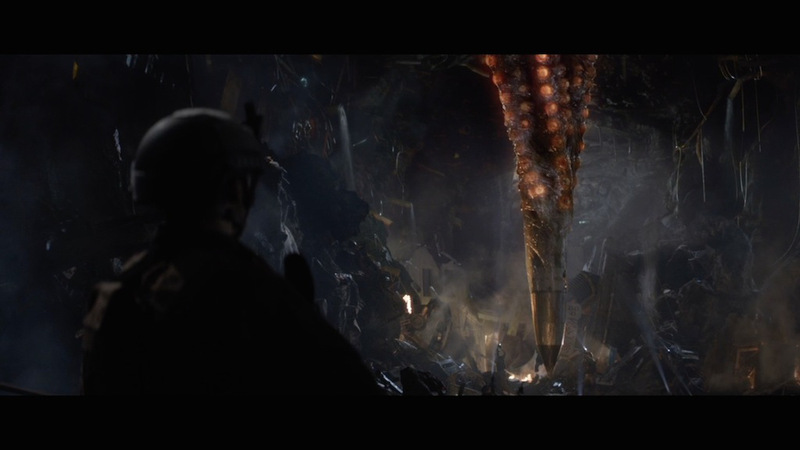 Brody recruits his son and the two arrive at the old wreckage just in time to witness a full grown MUTO hatch. They meet Mr. Serizawa (Ken Wanatabe) who lets them in on a little secret: MUTO is not the only giant monster out there. Yes, it turns out that Godzilla still showed up in 1954, only this time he did not destroy Tokyo. Enter one of the film’s main weak areas: Godzilla’s origin is glossed over. The audience learns that he appeared in 1954 and that nuclear weapons were used to try and kill him (Godzilla is some type of ancient animal from the day’s when the world was a lot more atomic in nature). 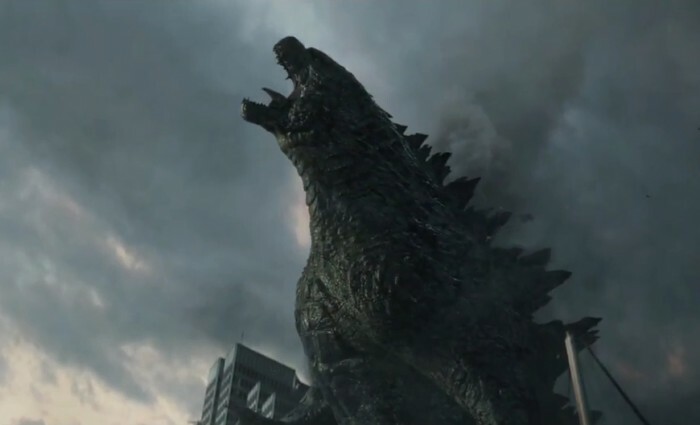 The weapons didn’t work and Godzilla has been doing… something for the past sixty years. Don’t worry though, the military has wisely been using that time to not prepare any contingency plans, should Godzilla ever grow aggressive. The plot doesn’t allow any time to dwell on this rather bizarrely timed bit of exposition. Muto is heading for Hawaii and our heroes must give chase. Notice the problem so far: Muto is driving the story action. This never really ends throughout the movie. Muto is the main monster of the plot. This echoes other Godzilla movies where the antagonistic monster is more closely tied into the story. The problem is that the studio decided to call this film Godzilla, creating a set of expectations that he would be the main presence. Godzilla is in the movie to be sure, but he is not the sole star. The plot revolves around trying to stop the spread of Muto eggs. Go back to my title, Godzilla Raids Again. 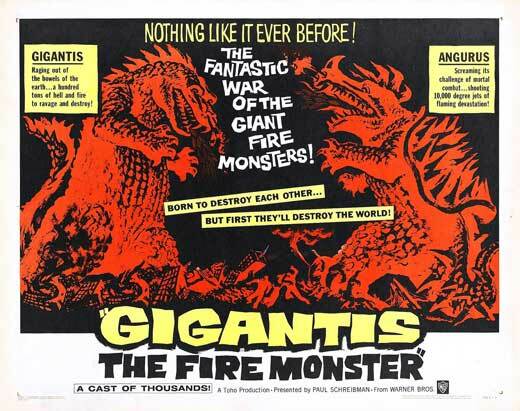 This was the first movie that Godzilla shared with another monster and both kaiju drive the plot forward. That said, Godzilla Raids Again was also attempting to be an incredibly personal story about one family in the midst of this epic monster battle. Edwards’ Godzilla is like this also. The audience follows Johnson’s character, Ford Brody, really from start to finish. Every shot of the movie is at the human level. This is both a strength and a weakness as this film provides some of the most breathtaking perspective in the series, while at the same time some of the fights feel restricted. There’s no areal view to show everything like in Pacific Rim. The things they are able to do with CGI. This really is a gorgeous film. 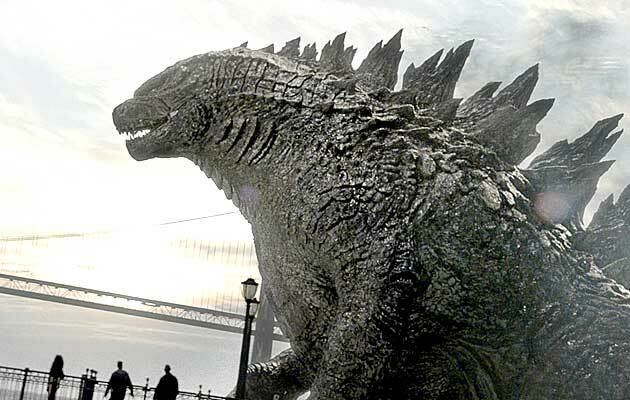 Godzilla is an epic, and there is human drama aplenty to carry the film through its 123 minutes. Things never drag and the story maintains a slow, methodical pace (similar to the hulking steps of Godzilla). People seeking monster brawls and plentiful amounts of the big G might be disappointed. The final fight is cool but it isn’t overly long. This image was from the initial teaser. Evidently there was a monster design that went unused. Overall Edwards movie isn’t a classic but it isn’t a disaster. It is somewhere in between. If this is to be the first in a series then mission accomplished: the King of the Monsters is back, and I can’t wait to see who else he is going to fight.